March already. Heads-up for this month, the plan is to create a single typeface, which I'm christening 'Luggged'. 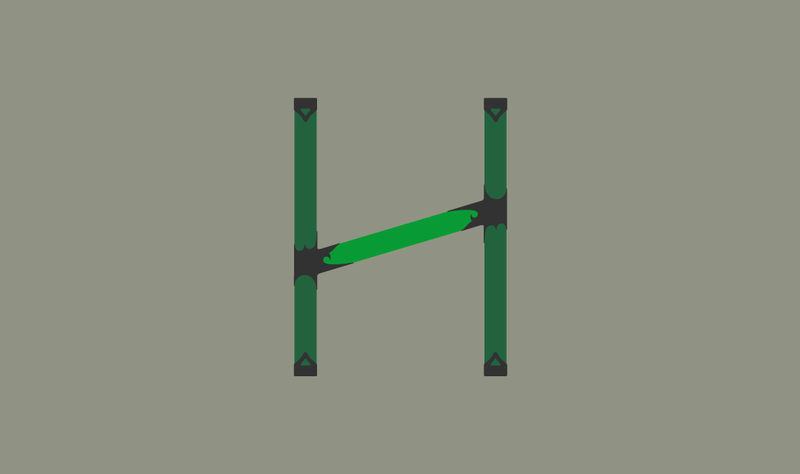 It's going to be based on steel-framed bike construction and this 'h' is the first go. Let's see how it goes, shall we?